For those that didn’t catch the last couple “Hotel Insider” blogs, this series shows some love for our local lodging properties, and piggybacks off our regularly, weekly featured Travel Tuesday deals on DiscoverLehighValley.com. The blog takes a similar format of our Foodie Friday blog series featuring a question and answer format. We tried to steer away from some of the mundane questions that one might think, and feature some useful and entertaining questions. You might be surprised at some of the answers. So enjoy and check back regularly Tuesdays (usually twice a month) to catch a new featured property. This week we sit with Denise Maiatico, General Manager at the Hyatt Place in historic downtown Bethlehem. Discover Lehigh Valley: What makes your property different or unique? Hyatt Place: The Hyatt Place is the only modern downtown hotel in historic Bethlehem. 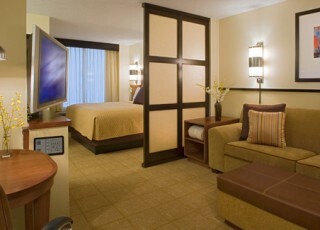 DLV: What’s your best room/suite, and why? HP: All our rooms are oversized and have the feel of a junior suite. DLV: What are your best amenities? HP: Guests love our indoor pool, and hot breakfast. DLV: If your property offers food, what is your most popular dish, or something that you absolutely have to try? 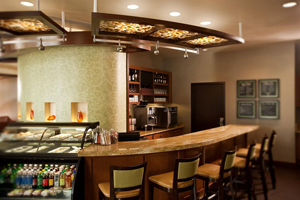 HP: Our favorite foods can be found within walking distance of the hotel. Guests love to stroll down Broad Street and dine at The Apollo Grill or the Bethlehem Brew Works. DLV: What was the strangest request you have ever received from a guest? HP: We once had a guest ask if we could hide a dragon in his room. Always eager to please, we found an elaborate and colorful picture of a dragon and placed it in his closet prior to arrival. DLV: Have you ever hosted a celebrity (ies)? If so, who was the most fun? (Plus they had some strange requests) HP: Carly Rae Jepson required an electric teapot which she never used. Bob Dylan asked for his own space heater, even in the summer. And last, but not least, B.B. King required two rotisserie chickens and bananas, I guess that’s how you continue top rock at his age. DLV: What’s your busiest time of the year? HP: We love the leisure activity that comes with the area festivals and events. DLV: When is the best time to stay at your property? HP: Over the holidays or during the festival seasons in particular during Musikfest and Celtic Fest. DLV: How does a guest get the best rate at your property? HP: By calling us directly at (610) 625-0500 or book through our brand website. DLV: Do you serve breakfast? Is it included in the rate? HP: Yes we offer the Hyatt Signature Skillet Breakfast and it is included. DLV: Is the property pet friendly? HP: Yes, pets are allowed for a nominal fee of $75. DLV: Does the property have a bar? HP: Our property does not feature a bar, but one quick walk down Main Street and you will find many wonderful dining and drinking establishments. DLV: Does the property offer free parking? HP: Parking is included in our rates. Guests have the convenience of parking in the garage directly across from the hotel. A great tip when visiting our hotel is drive right up to the front of the property while you check in and unload your luggage. Then you can move your vehicle to the parking garage. We recommend you park on the third or fourth floors for the easiest access to the hotel. DLV: What should one know about your property before arriving? HP: We have been ranked as high as number four in the Hyatt Place brand for our guest service and experience. Our number one priority is you, our guest. The Hotel is located at: 45 W. North St, Bethlehem, PA 18018 Phone: (610) 625-0500 Website: www.bethlehem.place.hyatt.com. Thanks so much for the time Denise. 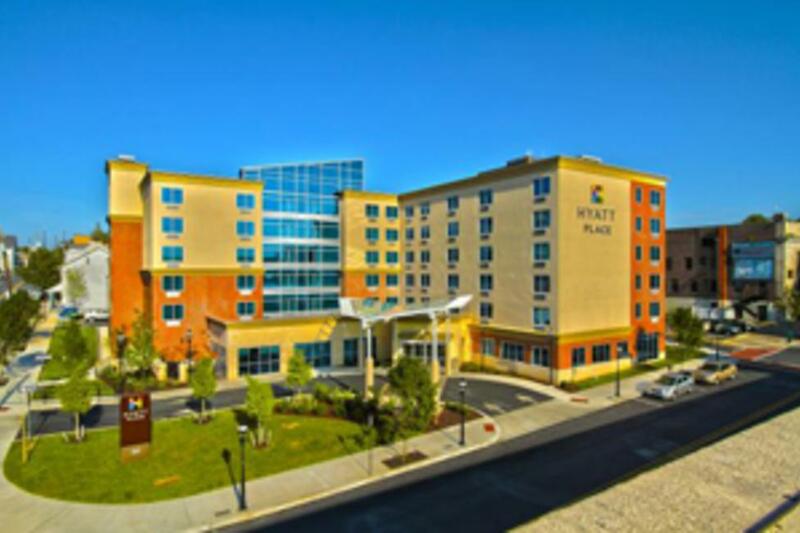 So Lehigh Valley and beyond, if you’re looking for a modern lodging option in the heart of downtown Bethlehem the Hyatt Place has you covered. Please check back on Tuesdays as we will feature another great loading property soon.